Does DNA give us much more than we originally thought? Have you ever looked up certain branches of you family tree and noticed a trend or a pattern of behavior present across three or more generations? Epigenetics just might explain all that. I have often wondered how it came to be that four generations of men in a certain branch of my family tree (possibly more--I still have a brick wall there to break down) have all had a wanderlust that drove them far from home, by land and by sea, even though circumstances separate these men in ways that make the much more simple idea that this was learned behavior highly unlikely. Epigenetics--the idea that a grandparents' life experiences can shape who you are--may indeed play a role in such trends. The subtitle for the article claims "Your ancestors' lousy childhoods or excellent adventures might change your personality, bequeathing anxiety or resilience by altering the epigenetic expressions of genes in the brain." 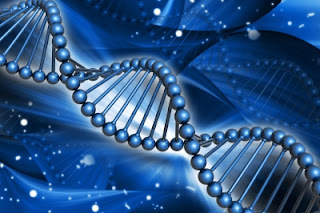 Grandma's Experiences Leave a Mark on Your Genes by Dan Hurley, Discover, June 11th, 2013. Thoughts about this avenue of study? Post 'em if you've got 'em.